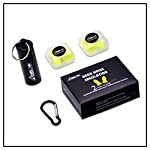 ANBOW Ear Plugs 2 pairs with waterproof aluminum case and carabiner, can effectively reduce noise, offers you a quiet environment for work, study, sleep, etc. 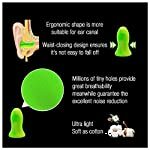 ✔High elastic foam polyester material earplugs with a very convenient shape, are almost invisible in the ear canal, and most importantly, they can suppress a high, dangerous sound levels, while retaining the frequency balance of music. 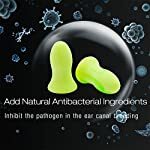 ✔Add extracts from more than 10 kinds of herbal extracts of the natural ingredients, inhibit the pathogen in the ear canal breeding. 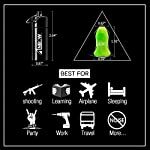 To ensure optimal using performance, it is recommended to replace each pair of earplugs every 3-6 months. Customer’s satisfaction is the most importance. If our product doesn’t satisfy your needs, we most certainly will honor a 30-day money-back guarantee. 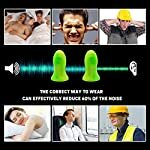 ERGONOMIC DESIGN: Streamlined imitation ear contour design, temperature sensing adaptive sponge, rebound in the 60’S after earplug into the ear canal, automatically adapt to the ear canal. 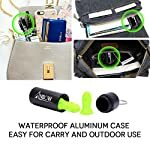 YOU WILL GET MORE: The waterproof aluminum case with carabiner easy for travel and outdoor use. 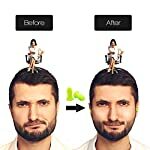 Both ear plugs are equipped with a plastic box.